Video visits are becoming an increasingly popular form of healthcare access in the United States and with good reason. Telemedicine is effective, and convenient for patients. It increases efficiency for medical practices and offers a way to increase revenue. We might think of primary care as the main driver of the growth of telemedicine, but the option for remote visits has compelling benefits for specialists as well. The use of high definition audio and video encounters allows specialty practices to care for patients over a larger geographical area without requiring patients to travel long distances frequently. By increasing efficiency, it also let each specialist see more patients in a day, helping to solve the growing shortage in specialty care providers. While telemedicine is used in almost every specialty, here is a closer look at a few that are embracing the approach. People who suffer from cardiovascular disease or congenital heart defects generally need ongoing care and precise treatment plans. Video visits reduce the sting of frequent visits to the cardiologist and help people comply with follow-up instructions. Modern high-definition video makes it possible to diagnose and treat a variety of skin conditions at a distance. It can be used for routine skin assessments like mole checks and more urgent triage needs. Endocrinology specialists use remote visits to manage patients with chronic conditions including diabetes and thyroid disease. A video visit is a great way to handle adjustments to various hormone and hypertension treatments. Gastroenterologists treat illnesses such as ulcerative colitis, hepatitis C, and Crohn’s disease that require long-term care and often involve the management of multiple medications. Video visits are perfect for medication management, dietary counseling, and reviewing diagnostic test results. Hematologists and Oncologists leverage video visits as a way to monitor patients, control medications and administer treatment plans for patients with cancer, sickle cell disease, iron deficiencies, and other complex conditions. Telemedicine technology is used to monitor symptom progression, manage medications, and respond to unexpected side effects in patients with an infectious illness. Remote visits reduce the risk of exposure for providers, office staff, and other patients. Telemedicine is the ideal tool for helping patients to slow the progression of kidney disease and minimize the need for dialysis or kidney transplants. Nephrologists also use telehealth to provide at-home care plans for patients recovering from kidney related surgery. Obstetricians and gynecologists use video visits to manage a wide range of conditions including everything from family planning to postpartum depression. Post-op patients are able to get the care they need without a visit to the office, an especially important advantage for new mothers. Telepsychiatry is a term that references the delivery of psychiatric diagnosis and treatment using telecommunications technology. Sometimes the term is applied to all mental and behavioral health care that is delivered via a remote connection. The approach is perfect for the delivery of these services because it reduces barriers to care including distance, privacy concerns, and cost. People who experience asthma, bronchitis, COPD and patients requiring mechanical ventilation are great candidates for telehealth. Video visits make it easier for them to stay engaged in the management of their condition. Telemedicine is being adopted by urgent care clinics that want to increase market share, earn more revenue per provider, and lower the costs of delivering care. Patients are often able to avoid unnecessary visits to the emergency room, while still receiving timely care by using a remote encounter instead. Urologists use telemedicine to treat urinary tract disorders such as urinary tract infections, kidney stones, incontinence, and frequent urination. With telemedicine, urology patients have secure online access that permits them to connect via the internet with the urologist’s office at any time from anywhere. 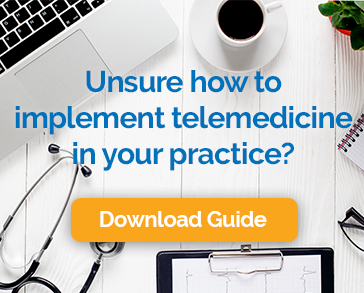 This list is not inclusive, but it illustrates the ways that patients and providers can benefit from telemedicine across the healthcare landscape. If you are considering adding a telehealth program to your specialty practice, you are not alone.